Thank you so much to everyone who voted for The Crush for this year's Golden Moose Awards! We were able to leave Vegas with a little more hardware in our pockets than what we arrived with!!! 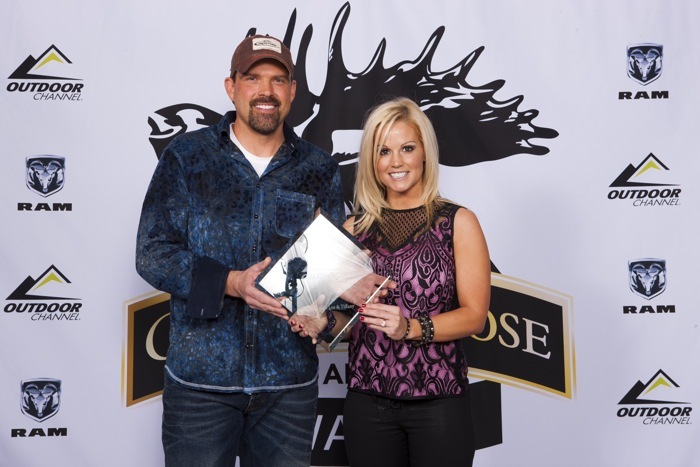 The Outdoor Channel celebrated The Crush's hard work in 2012 by bestowing upon them the coveted Golden Moose Award for "Best Deer". "After an entire year of preparations, and a season filled with early mornings and hard work, it feels amazing to be recognized with the 'Best Deer' award", said Lee. Outdoor Channel's deep bullpen of quality hunting programs make awards like this even more special. Tiffany went on to comment, "I am so thankful to take home 'Best Deer'...Lee is going to be smiling all year long!" Lee & Tiff posing for a quick photo with their new mantel hardware! With the ups and downs of weather and the ever challenging task of patterning mature bucks in Iowa, Lee & Tiffany turned a taxing season into another successful one, seemingly pulling trophy deer out of a hat. "We are very fortunate to have the support of our great family of sponsors that allow us to do what we love, everyday", said a very thankful Lee Lakosky. Lee & Tiffany will be up to their old tricks with a few new twists for 2013, so stay tuned…you never know what's gonna happen next!! 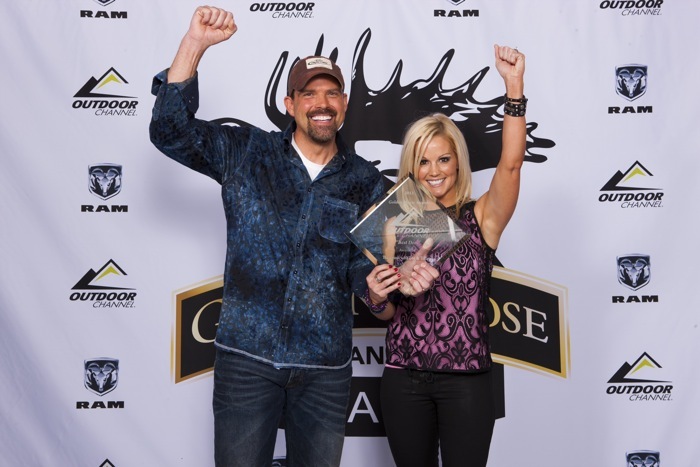 Lee & Tiff Celebrating their win for "Best Deer" at this year's GMA's! Thank you again to all of our fans for voting! It means so much to us and we are so grateful! It's because of your support that we've been able to continue livin' the dream for all of these years!! !